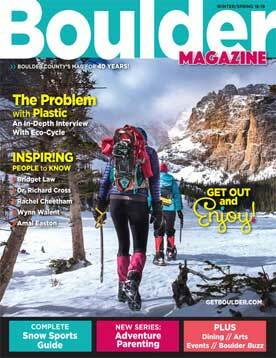 Guiding in Rocky Mountain National Park is what brought Katie Burgert to Colorado. “It was a dream come true, and I still feel that way,” she says, adding that the best part is seeing someone catch their first fish. 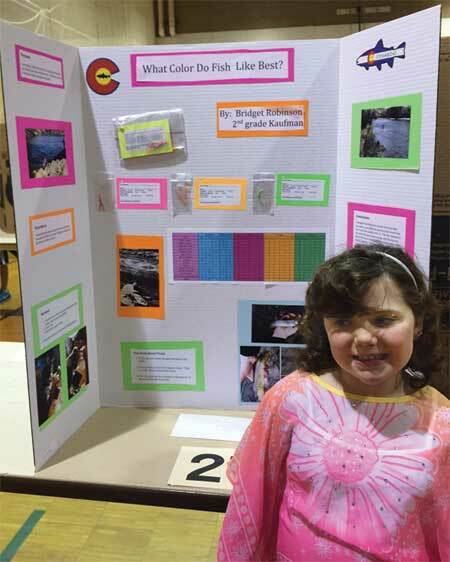 For her recent science fair project, Bridget decided to test something practical: What color do fish bite on most, green, orange or pink? She chose a simple fly to test, the San Juan Worm. Two of her teachers as well as employees at Rocky Mountain Anglers helped her test out the flies. The winner? Pink. 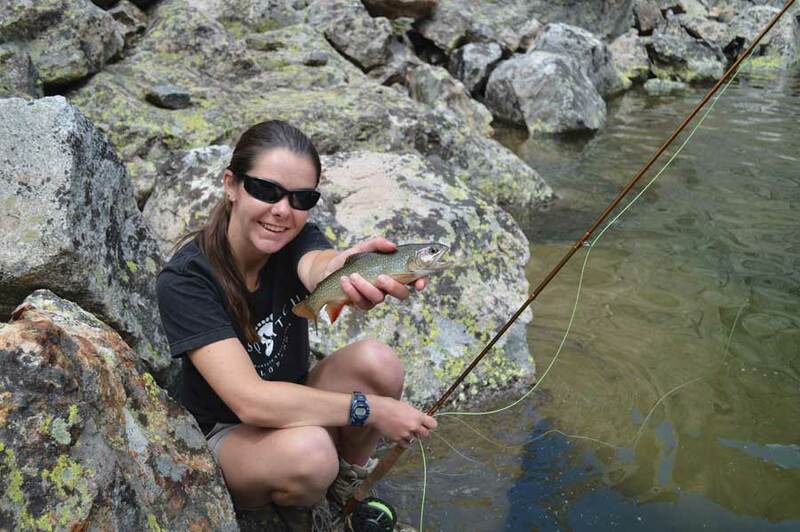 While the face of the sport of fly fishing is still predominantly male, many women and younger people are getting hooked, says Steve McLaughlin, owner of Front Range Anglers. “There’s a group of anglers, the older generation, that have been around for the past 30-plus years,” he says. “They may be slowing down a bit, fishing only in the summertime when it’s a bit warmer, a bit safer.” But every year more young people are picking up a rod, and McLaughlin notes that part of that influx is coming from the university. With each incoming class the numbers rise, he says. More families are trying out the sport as well, says Alex Thoele, 30, who guides for Sasquatch Fly-Fishing in Rocky Mountain National Park. Thoele says, “It used to be the idea that Dad would go fly-fishing, while Mom and the kids would go shopping or go do something else. 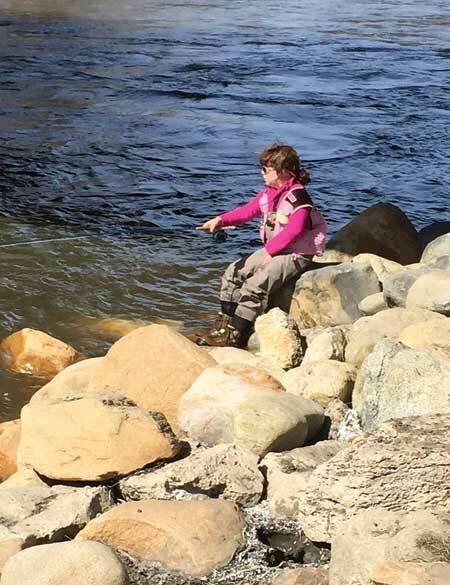 Now it’s often, ‘Let’s get the whole family out there and try it.’” That changing demographic is reflected in local angling shops too, where you’ll find summer camps for kids and guided trips solely for women. Because it’s not just “old guys” out there fishing, there are also more women guiding in recent years, Thoele says. Guiding for Sasquatch is what first brought Katie Burgert, 22, to Colorado. “It was a dream come true, and I still feel that way,” she says, adding that the best part is seeing someone catch their first fish. 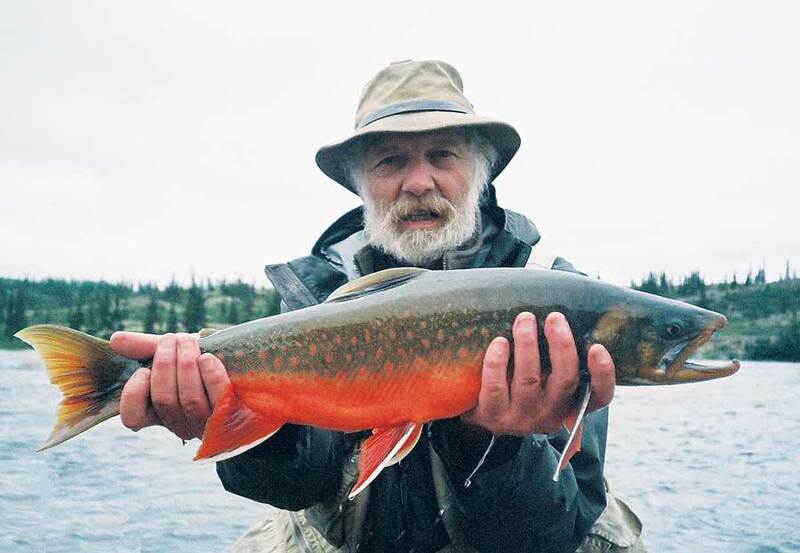 John Gierach, Lyons resident and author of best-selling fishing books including Trout Bum, helped popularize fly-fishing. 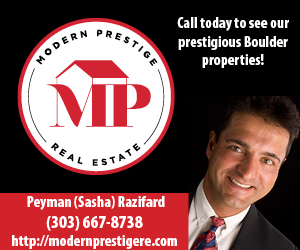 A couple of nearby favorites for local anglers are Boulder Creek and the St. Vrain River. Thoele says he’ll even fish the Platte River in Denver for carp. “It’s gross to a lot of people, but it’s still fun,” he says. There are also plenty of ponds around. When Bridget fishes with her dad, they often just walk over to Warembourg Pond, near their home in Louisville. Though more people are fishing locally, Thoele says he’s noticed that people are becoming less inclined to hike to a fishing spot, preferring to drive instead. But Burgert notes that a good hike hooks you the best fish. The more time you invest in getting away from the roads, she says, the less wary fish are of people. 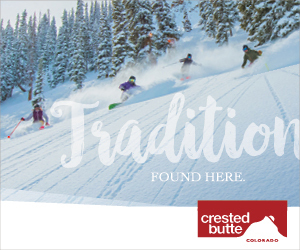 Of course, fishing in Colorado gives you lots of options, including what Thoele and his wife, Liz, call “the ol’ ski ’n’ fish”—taking some runs at Eldora in the morning and casting on Clear Creek in the afternoon. So if you’re considering giving fishing a try, you’re in the right place. Not only are there plenty of waters to fish, but there’s quite a fishing community. 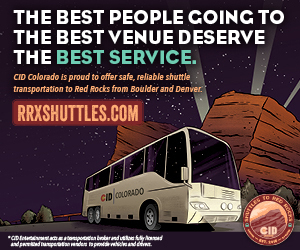 You can find fishing Meetups online, and there’s a nonprofit organization, Boulder Flycasters, committed to conservation and restoration of fisheries. Umpqua Feather Merchants, the largest maker of flies in the world, is even based in Louisville (including a warehouse stocked with 500,000 sets of flies). Bridget Robinson, 8, at RMNP and with her fish-centric science fair project. “Fishing gives you time to mellow out,” she says.